When the doctors which include majority of house-surgeons, post-graduates as well as super-speciality residents approached the Director BMCRI, they were informed that they would only be receiving the stipend at the old rates ( Rs 25000 for Pg and Rs 15000 for interns) as the college did not have any funds to pay the doctors. This in turn was because the government had not allocated sufficient funds to the college. 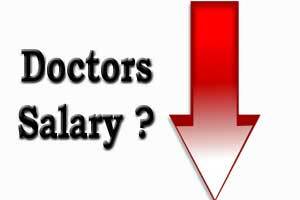 Further, the resident doctors were in for a shock when the director informed them that money will be deducted from the stipend of November for those who received the salary according to the new scale of stipend.